POP CON Vol. III is on it’s way! Join us April 5-7th for a Pop Culture Celebration right here in the Hill Country. Attendees can free play games or sign up for tournaments for both electronic or table top, accept the challenge of our Avengers inspired Escape Room, enter the Cosplay Contest, learn Lightsaber skills, and meet university coaches and players to find out how to become an Esports athlete! 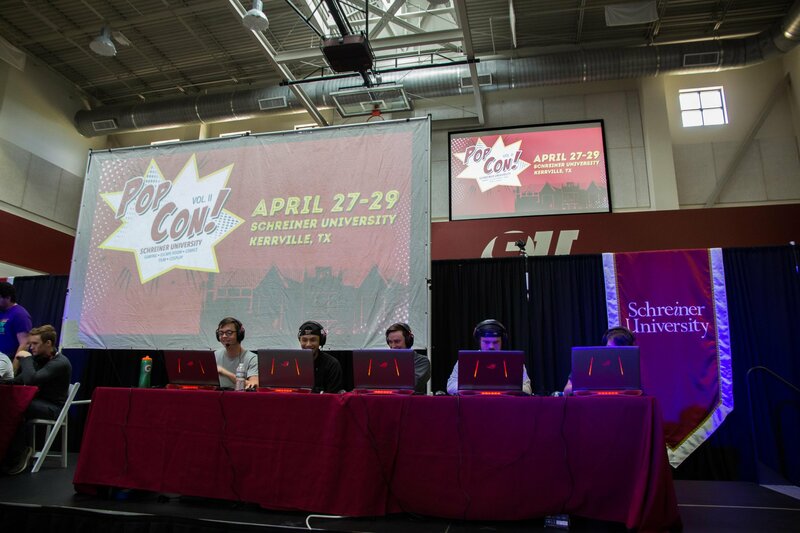 POP CON started in May of 2017 as a one-day pop culture celebration for the Schreiner University campus community, and has this year, expanded to a three day gaming, film, comic, and popular culture event. In its conception, POP CON hosted a screening of horror movie GH5, video game tournaments, a D&D one-shot, tabletop gaming, crafting, speakers, lightsaber training, and a Star Wars themed escape room designed to help Princess Leia smuggle the Death Star plans off her ship the Tantive IV! The event was attended by more than 200 Faculty, staff & students, and is a highly anticipated event every year. The Southern Collegiate Athletic Association (SCAC) Esports Showdown is the first competition of it’s kind. Five universities will compete for tournament champion in multiple Esports games including League of Legends, Overwatch, Smash Bros. Ultimate, and Fortnite. Teams will square off This a great opportunity to meet the players and coaches and find out if you have what it takes to play at the collegiate level. Are you a Table Top Player looking for a chance to play? We have got you covered. Join the friendly staff from Heart of the Cards our Kerrville area hobby and game store. Kicking off with Friday Night Magic on April 5th at 7pm, visit the Heart of the Cards booth to sign up for Commander, Draft, Pokemon and Yu-gi-oh Tournaments! 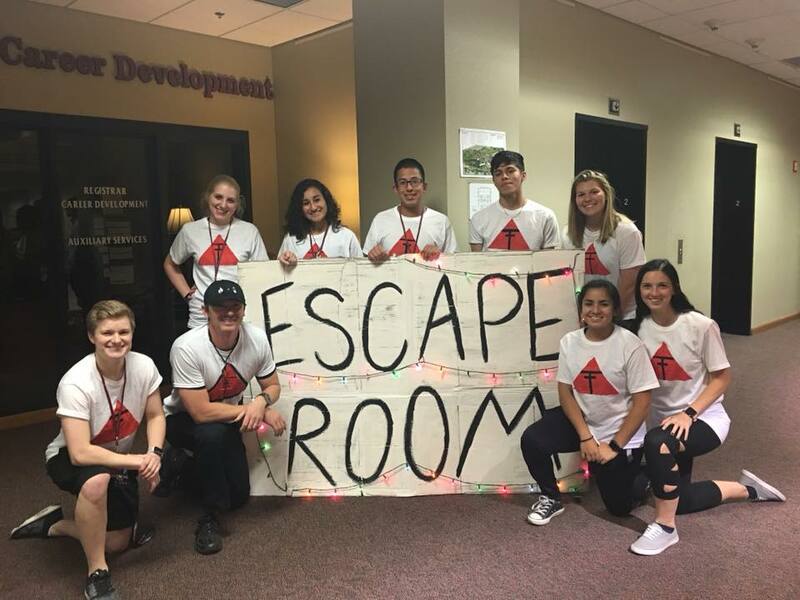 The Treacherous Times Escape Room has been a huge hit every year at POP CON, and we expect this year to be no different. Inspired by Avengers, Schreiner University L.E.A.D. has a fun and challenging experience set up for attendees (cosplay not required, but always welcome!) that will run every hour starting Friday, April 5th at 6pm, and run all day Saturday, April 6th. It’s been NINETEEN years of the formal academic study of popular culture studies at Schreiner University, and the Popular Culture Symposium has been the showcase for many Students, Faculty and Staff to present thoughts, research or perspectives over the years. That showcase has become part of POP CON! The event has expanded to include populations of other universities and communities as well. We look forward to another great year! Below is a list of last year’s presentations. Not an University Esports team member, but want to compete? We will have free play area with walk up tournaments for many different video games, such as Smash Bro.s Ultimate, Rocket League, Street Fighter II and More! 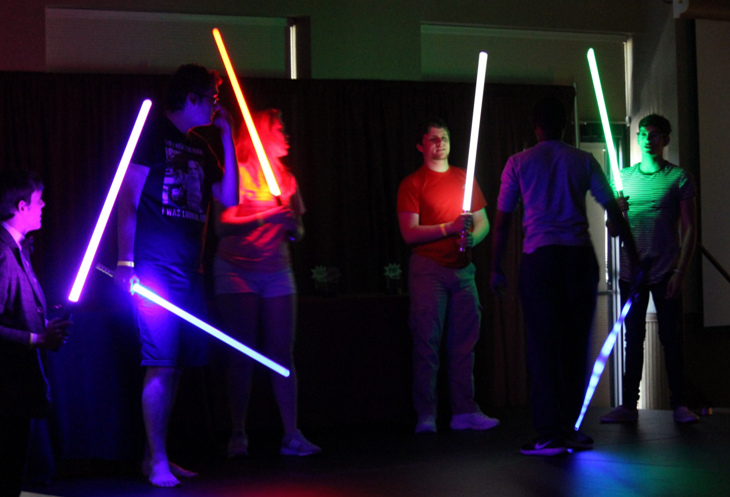 Join our certified resident Jedi Dom Mason for Lightsaber Training. Workshops will be offered on a first come, first serve basis to hone you skills to destroy your enemy! POP CON is looking for presenters and vendors to help provide the best experience possible for our attendees. Looking to introduce a new game, want to speak about your journey, share your employment opportunities, or run a tournament? POP CON has space available. Our website will be up and running soon for online registration!